Mint was founded by a Duke University Electrical Engineer, Aaron Patzer, who was frustrated by how difficult it was to use Quicken. He decided to build a free, web-based personal financial management platform that allows users to track bank, investment, and credit card transactions, as well as loan balances in a single dashboard. Within a couple of years of launch, Patzer had raised venture funding for Mint, been featured on Inc. magazine’s Top 30 Under 30 list, and year later in 2009 sold Mint to Intuit for $170 million. These days Mint has over 20 million users who track their personal finances online in both the U.S. and Canada. But before signing up, what do you need to know about Mint and how it compares to other budgeting tools? Is Mint.com Right For You? Mint Security: Is Mint Safe? Does Mint Help You To Invest? View your overall finances and track your money easily at Mint.com, plus find out where you can save money by paying lower interest rates. If you could dream up the perfect personal finance tool, it would probably have a dashboard so you could view all your important financial information in one place yet be versatile enough to allow you to drill down to see each transaction from every one of your financial accounts. Mint has the capability to display your net worth and how you are allocating your money to groceries, bills, loans and so on, plus it displays your day-to-day bank and credit card transactions. But Mint goes a step further than simply budgeting and reporting financial information. It is smart enough to compare the interest rates you are paying on your credit card and check whether lower rates exist elsewhere. After identifying better deals for you, Mint will notify you of better rates to help save you money. Although Personal Capital, YNAB, and LearnVest are serious rivals, Mint regularly tops the list of best personal finance tools. 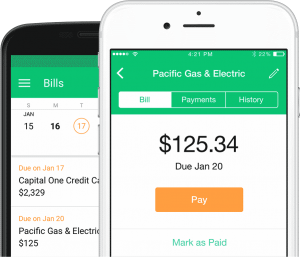 Mint automatically syncs with your financial accounts to keep track of your income and spending habits, and can even pay bills on your behalf. If you struggle to budget and keep track of your financial accounts, Mint is an excellent solution. The competition among budgeting apps is intense but Mint still stands head and shoulders above most of its rivals. Some budgeting tools will charge you an annual fee while others don’t track your investment accounts, which means you don’t have a fully holistic view of all your assets, including your retirement accounts. And annoyingly, some offer free versions that require you to manually enter transactions. However, Mint remains 100% free to users, syncs with your financial accounts, and automatically tracks your bank, credit card, and investment accounts, plus it features excellent bill payment functionality. You can even put your bill payments on auto-pilot because Mint will not only notify you of an upcoming bill but it will also pay your bills on your behalf. After you connect your financial accounts to Mint, you can view historical spending patterns instantly and view your credit score free. If you use Turbotax, Quickbooks, or Mint, you will be pleased to know that you only need to sign up in one place with one account. Once you log in, you will be invited to select your banking institution to list any checking, savings, credit card or loan accounts. From day-to-day transactions to larger liabilities, such as your mortgage and personal or student loans, Mint displays everything in one place. Once your accounts are connected, you will be able to view your spending habits immediately because Mint analyzes your personal finances over prior months to provide you with an instant snapshot view of where your money is allocated. Perhaps the most appealing aspect of Mint is how it is fully automated. If you previously tracked transactions manually on a spreadsheet, you can say goodbye to those days and reclaim your Sunday afternoons. Even users who trade bitcoins or exchange money via Venmo will be delighted at how Mint stays current with the latest technologies to allow you track your true net worth. Mint does not have any access to make changes in any of your financial accounts other than make bill payments, which are optional. You don’t have to worry about somebody getting access to your account and transferring money out. In fact, even as the account owner you don’t have the ability to move money from your accounts within Mint. Intuit, which owns Mint.com, is also the maker of TurboTax, which is trusted by millions each year to file taxes, so as you would expect, bank level security is employed: 256-bit encryption is used for your data and Mint is encrypted with 128-bit SSL. And while security is prioritized, it doesn’t come at the cost of slow updates. Mint updates your transactions in real time, so almost as soon as your credit card is swiped, transactions will display in Mint. After signing up to Mint, you can view your credit score by entering your birth date, address and your social security number. 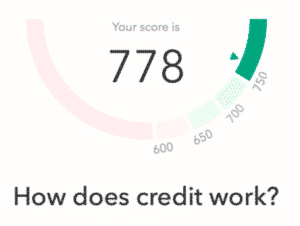 If you want to see your credit score you can check it at no cost on Mint, which invites you to enter your personal details and enquires why you want to know your credit score, so it can better serve you. Creditors like to see that you have both loans and credit cards, and that you have a good track record of paying your bills on time. Plus, they like to see that you are using your credit responsibly. If you find that you are scoring poorly in one category, you can dive into each of the six categories to learn more. Personal Capital, LearnVest and You Need A Budget, or YNAB, are all worthy Mint alternatives that specialize in different areas from investment management to financial planning. Other budgeting tools, such as YNAB are laser-focused on budgeting alone to the exclusion of investment accounts, and will give you more control over reconciling accounts if you prefer a more hands-on approach. LearnVest is another Mint alternative and, because it started out as a financial education portal, features a wealth of knowledge plus a paid financial planning service. Personal Capital has a world class mobile app that rivals Mint when it comes to displaying investment account information as well as a holistic overview of all your financial accounts in one place. The robo-advisor makes money by pitching clients on investment management services, but it is free to anyone to download the app. 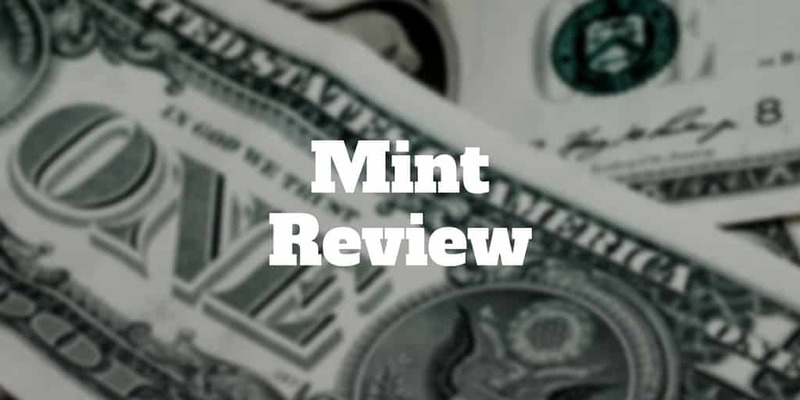 The Mint app is available to iOS and Android users via mobile phone, iPad, and even iWatch. When you are on the go, the Mint.com app makes it easy to stay on top of your personal finances. It caters to both iPhone and Android users. In fact, you can even access the Mint app from your iWatch to keep track of your spending habits, receive notifications, and billing alerts. If you prefer to receive notifications by email instead of on your mobile devices that’s easy too. Creating budgets in Mint is simple for each category of spending, and is visually simple to interpret plus you can receive alerts when you are running over budget or large expenses hit one of your accounts. To help you track your money responsibly, you can set budgeting goals easily in Mint by simply clicking a few arrows to increase or decrease the amount you are willing to spend for a particular category. You can specify the maximum amount that you want to spend for a particular month in a wide range of categories, including food, clothing, transport, health & fitness, travel, and entertainment. It’s instantly apparent whether you are within your budget or over budget for the month with red warnings displaying when you exceed maximum thresholds. 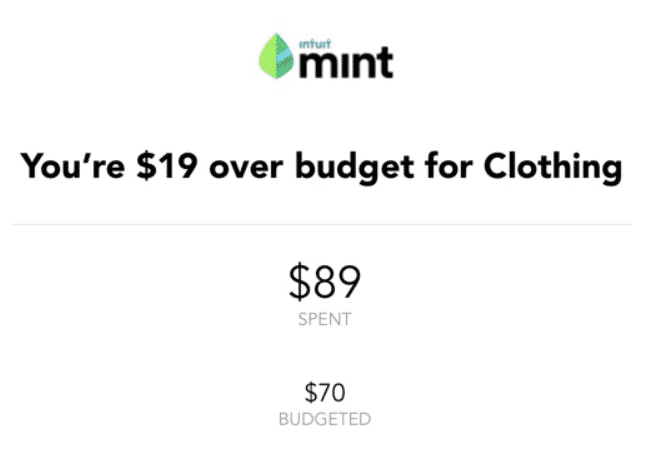 Mint will evaluate where you stand overall and report to you how much you have left over for the month to spend in each category or if you need to dial back your spending because you are already in the red. The notification system is especially valuable because you can customize alerts based on your own preferences. For example, you may wish to be alerted every time an expense exceeding $500 posts in your account. Keep in mind that you can exclude any category you wish to remain hidden. For example, if you want to exclude mortgage payments or even the value of your home from your net worth that is easy to do. Mint provides built-in calculators to help you pay off debt, save for a home purchase or create a custom financial goal. It’s just as easy to create financial goals in Mint as it is to set budgeting goals. 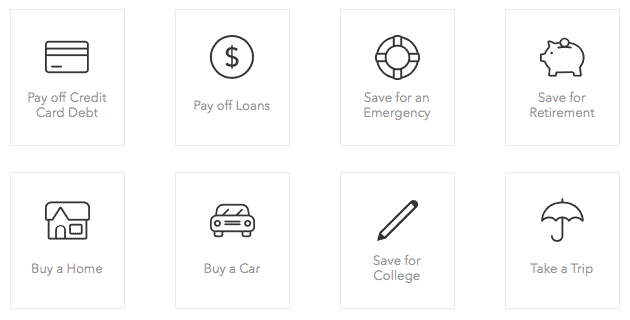 Whether you are looking to pay off credit card debt, pay off loans, save for an emergency or retirement, buy a home or car, save for college tuition, or take a trip, Mint provides a helpful widget for each category that guides you step-by-step how to achieve your financial goals. You can even create custom goals, such as saving for a wedding or building a nest-egg to prepare for the arrival of a new baby. Mint can advise you on ways to save across a range of categories but it won’t help you to invest your money or leftover cash balances. Unlike Personal Capital, Mint is primarily a reporting tool to help you track how much you are spending and where your money is being spent. Mint won’t advise you on whether you have an excess of cash that should be invested in the stock market, though it will track your investments. If you want advice on how best to invest savings, Personal Capital or LearnVest will be better suited to advise you. You can filter credit card offers based on your credit score and reward preferences, whether Cash Back, Air Miles, or Points. And if you are with a brokerage firm that charges you when you buy or sell mutual funds, Mint will display brokers that have a wide range of no-transaction-fee, or NTF, mutual funds, such as Fidelity and TD Ameritrade. One of the best categories in this section is the loans section because Mint helps you to find the best personal loan or best student loan for your own individual circumstances. Simply select from a dropdown menu the amount you want, the purpose of your loan, your credit score, and the state you live in, and Mint will display relevant offers, such as Prosper, SoFi, and LendKey. Mint is 100% free to use, connects with all major banking institutions, and makes it easy to create budgets and set financial goals as well as track investment accounts and access on-the-go, but it is only available within the U.S. and Canada. ✅ Free Budgeting App: Unlike many of its competitors, Mint is 100% free to use. ❌ Investment Recommendations: To receive advice on how best to invest cash, Personal Capital is a better choice. ✅ Ways To Save: Mint makes money by referring you to credit card, bank, and loan partners who can offer you better rates than you are currently paying. ❌ Difficult To Reconcile: If you are looking for manual control, consider YNAB which makes it easier to reconcile accounts. ✅ Dashboard View: You can view all your accounts in one place, see your net worth, or dive into the details of each transaction if you wish. ❌ Bank Synchronization: As banks increasingly add layers of security questions, account synchronization can break and be slow to resolve. ✅ Goal Tracking: It is simple to set financial goals to help you save for important events, such as buying a home or car, saving for college tuition, or paying off debt. ❌ Quicken Imports: No easy way to import from Quicken to Mint exists. ✅ Investment Accounts: Not all budgeting tools can track investment accounts but Mint does a good job keep track of your money in brokerage accounts. ❌ North American Banks: Only U.S. and Canadian banks are supported at this time. ✅ Mobile Compatible: Mint is compatible with iOS and Android mobile devices as well as the iWatch. ✅ Free Credit Score Access: You can view your credit score at no charge, and see what factors affect it so you can improve it. ✅ Bill Payments: It is easy to automatically schedule bill payments within the Mint platform. ✅ Relevant Ads: The ads served by Mint are relevant because they can help you to save money with lower interest rate charges. Mint is an outstanding tool for tracking personal finances. The dashboard is polished and it’s as easy to track your overall net worth as it is to view individual credit card transactions. 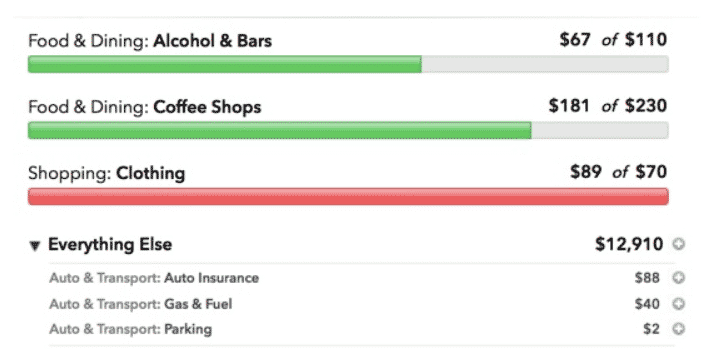 If you struggle to budget, Mint makes it easy to set budget targets and alerts you when you spend above your goal. Plus, it’s straightforward to target financial goals, whether buying a home or car, saving for a wedding, or looking to lower your debt burden. An especially nice feature is the Ways To Save tab which displays relevant offers to you based on your credit score – which is free to access on Mint – location, and other personal factors. Mint is smart enough to recognize how much you are paying on current credit cards or loans, and displays better offers that can help you to save money. The primary reason Mint doesn’t get the full 5-stars is that it comes up short against Personal Capital when it comes to investment advice. Mint won’t recommend ways for you to invest your cash or optimize your allocation. However, as a budgeting app that reports your overall finances, including your investment accounts, Mint is excellent and well worth checking out.